Steak Tartare (A Timeless Belgian Classic) | Simple. Tasty. Good. Voilà, this is my favorite steak tartare recipe then! I bought some ground beef down at my local supermarket around the corner. If you want to show off your knife skills, cut your steak by hand! Choose a nice piece of tenderloin, sharpen those knives and roll your muscles because you will need them. Sure a hand crank grinder would come in handy here but I still have to meet the first person who owns one – and also actually uses it. Steak tartare is a very popular dish in Belgium. You can eat it pretty much everywhere. Most often the tartare and its condiments are already mixed together and in this case we call it ‘filet américain’. Sometimes the ingredients are served separately so you can choose what goes into it. Only a handful of restaurants still prepare the tartare tableside. Add the seasoning and condiments you want but don’t exaggerate. The raw beef must still remain the highlight of this dish. It has a quite soft and pretty fragile taste and texture. Tartare is all about texture. Is this fresh beef tartare a main course? Then serve it with golden fries, a scoop of delicious homemade mayonnaise to dip them in and a simple fresh green salad. Or serve the tartare for lunch or as a starter like I do often: with freshly toasted French bread. I suggest that for a smaller plate and smaller portion you better put a quail egg yolk on top or that tartare will swim in raw egg yolk once you mix it up. Garnish your steak tartare with a sprinkle of coarse salt and freshly ground black pepper… Heavenly. Do you like my steak tartare? Then also check out a similar beef tartare but with an Asian twist! Need a vegetarian tartare for one of your guests? Then I have what you are looking for: my fresh tomato tartare with fresh basil and vinegar. 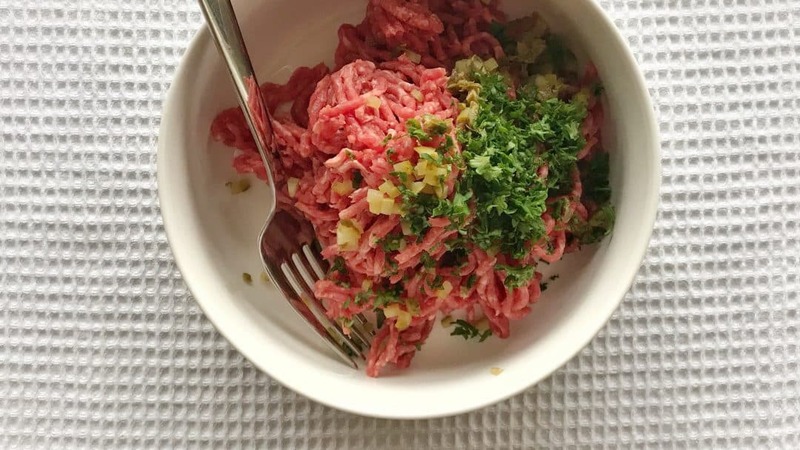 A classic I adore: homemade steak tartare! Raw ground beef with chopped shallots, capers, mayo, gherkins, egg yolk and tabasco... My absolute favorite! 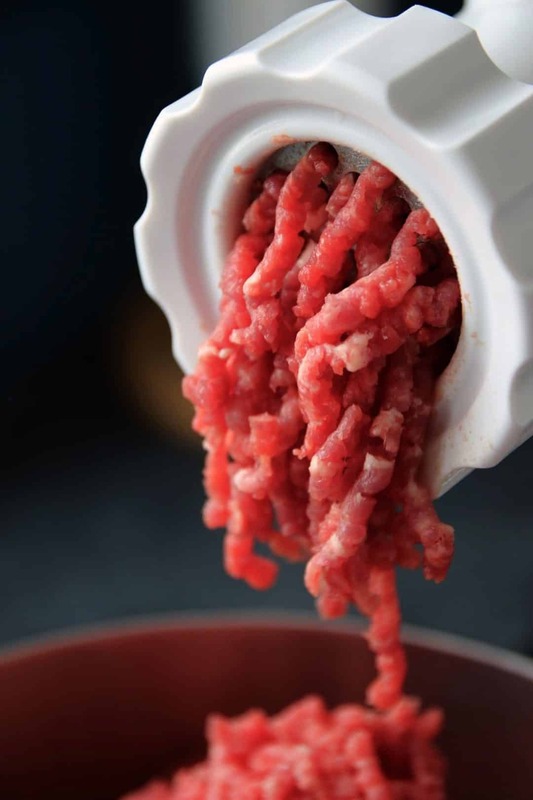 Transfer the ground beef to a large mixing bowl. Also add the chopped gherkins, the salted capers the freshly chopped parsley. Stir well. Then add the worcester sauce, lemon juice, mayo, olive oil, the chopped shallots and the tabasco. You can also add the egg yolk or keep it aside for garnish later. Season the beef mince with a pinch of pepper and salt. Stir the beef mince well again. Then taste the beef and add extra pepper, salt, worcester sauce, lemon juice or tabasco to taste if necessary. Divide the seasoned beef tartare over 2 plates. Then put them in the fridge for about 5 minutes before serving. Garnish with a little sprinkle of freshly ground black pepper and a tiny pinch of salt. Serve the beef tartare cold. 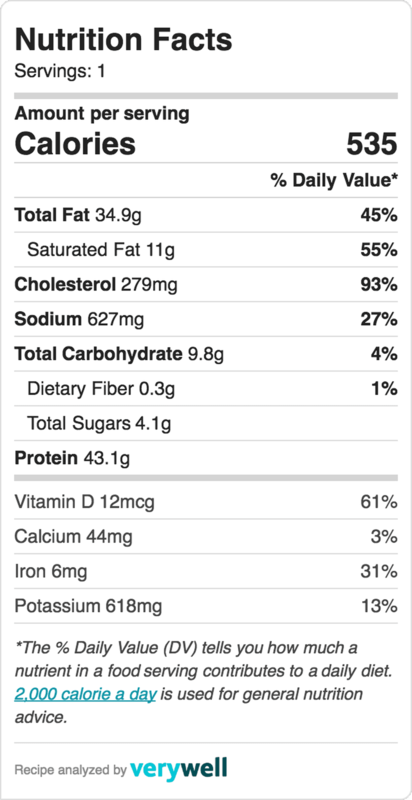 For this recipe I used ground raw beef. But in some specialised restaurants here in Belgium you can also find tartare of horse meat also. I even tasted tartare of venison once during game season. Now that was an eye opener! Delicious. Are you scared of the combination of raw beef and raw egg yolk? I have heard that before and sure enough things can go wrong if you are prepping raw meat because well, it’s raw. So because in order to avoid any trouble or food poisoning, there are a couple of things you have to keep in mind. First of all: make sure that the ground beef is fresh. Buy that portion with the longest shelf or ask your butcher for the freshest beef tenderloin that he has for sale. 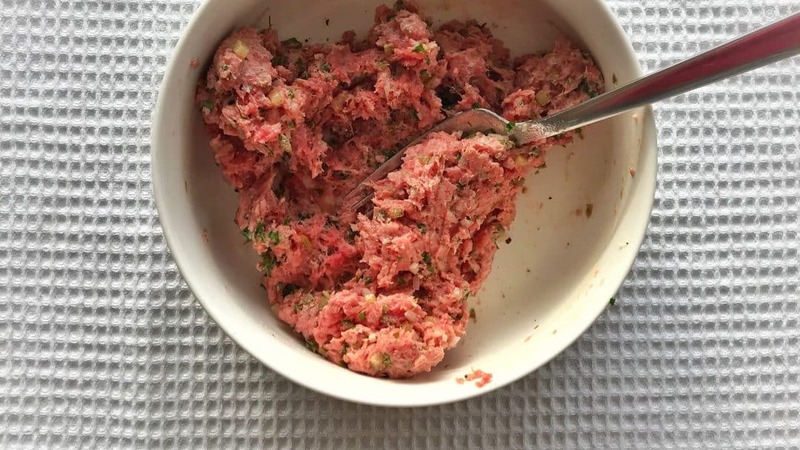 Tell him or her specifically that you are going to make a beef tartare. Second thing to remember: keep the ground beef cold. When you are shopping, buy the ground beef right in the end. Or put it underneath colder (freezer) products in your shopping trolley while you are doing the rest of your shopping. Once you get home, put it straight in the fridge. Don’t let it sit on the kitchen counter for more than a couple of minutes and certainly don’t put it in the sunlight or on a warm kitchen device. 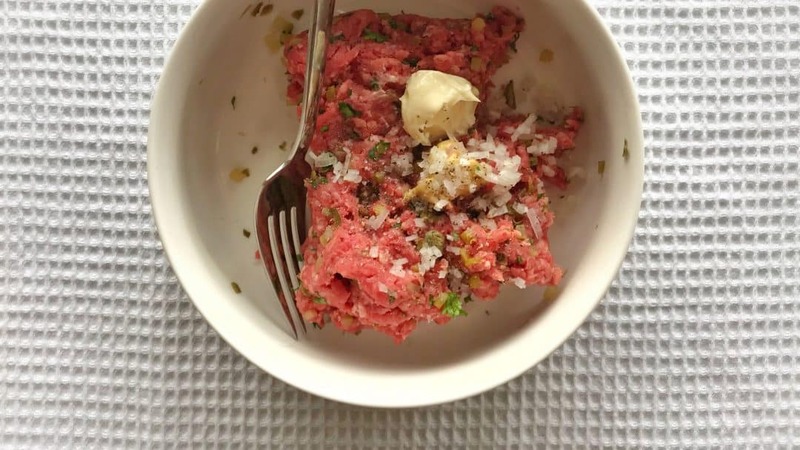 Are you ready to make your steak tartare? Then first of all start chopping and prepping all of the other condiments you will need for this recipe. One you have prepped everything, remove the raw beef from the fridge and transfer it to a clean bowl you rinsed first with hot water and dried with a clean kitchen towel. So add the beef, add all the condiments and then stir it all with a clean spoon or fork (you can also rinse your cutlery under hot running tap water to avoid contamination). If you like me like to knead the steak tartare with your hands, wash and dry them thoroughly before kneading it. You can even wear disposable gloves if you like. Work fast. If you need to add more condiments to taste, put the steak tartare in the fridge. Even for just a minute. Are you done prepping? Then put the tartare straight in the fridge to cool. Same goes for if you are cutting your beef tenderloin by hand or with a meat grinder. Clean and rinse your tools right before you start. And work fast. So that’s as far as the raw beef is concerned. But what about the raw egg yolk? Same here, work with the freshest ingredients possible. Keep the eggs refrigerated at all times. Don’t use eggs that you kept at room temperature. I always store my eggs in the fridge by the way. The second you have plated up the steak tartare, put the plates straight back in the fridge and separate the eggs. Top the steak tartare with a egg yolk right before serving. Just make a little dent in the tartare using a clean teaspoon and place the yolk in it. Are you or your guests not a fan of seeing raw egg yolk? You can always add the yolks to the tartare when you are assembling it. Are there any substitutes for the raw egg yolk? I would add a little more mayo, mustard or olive oil to keep the steak tartare moist enough. You would be surprised how popular raw rood, especially raw meat is all around the world. Can you think of another raw dish that is very popular? My first thought would be: Italian carpaccio. You surely must be familiar with this one! Thinly sliced raw beef topped with shaved parmesan cheese, arugula, olive oil, pepper and salt. Quite often other ingredients are added such as capers, pine nuts, sun dried tomatoes and raw chopped onions. Do you like fresh oysters as an appetizer or starter? These are also raw. Unless you pop them under a hot grill of course. But I like my oysters best when they are freshly chucked and simply put on some ice. Bit of freshly ground black pepper. 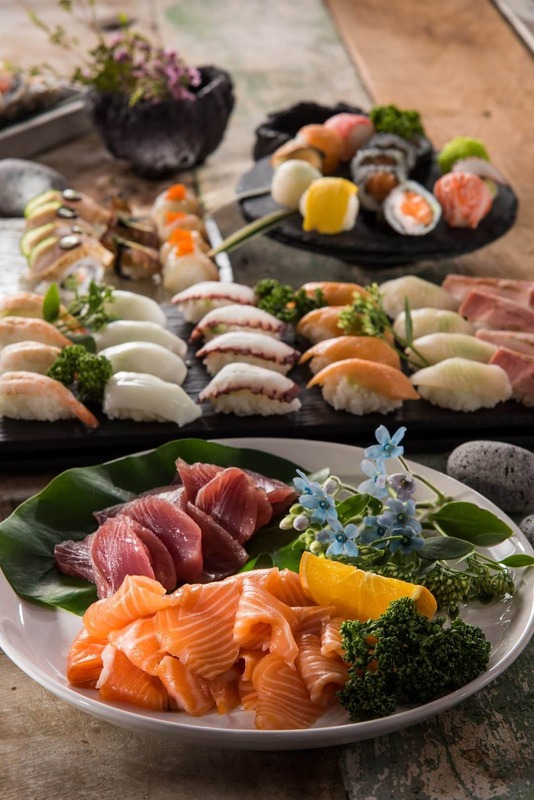 In Japan a lot of raw meat and fish are consumed as well, no surprised there. Sashimi for instance. And how about another classic Japanese dish that I love so much: beef or tuna tataki! Quickly seared on all sides in a very hot pan and then cooled immediately. Slice it up and serve cold with a soy dipping sauce. Have you ever heard of yukhoe? Yukhoe is a raw dish in Korean cuisine, usually made from raw beef seasoned with various spices or sauces. It look very similar to a steak tartare by the way. OK one last example of a raw dish: ceviche! Ceviche is a seafood dish popular in the coastal regions of Latin America and the Caribbean. I admit that ceviche can also be pickled cooked fish or seafood. A couple of months ago I was visiting Santiago de Chile and there I tasted the most fantastic raw red tuna ceviche: large cubes of fresh tuna in a zesty lime dressing. Now that I come to think of it, that ceviche looked very similar to another classic raw fish dish called poke. Poke is a raw fish salad served as an appetizer in Hawaiian cuisine, and sometimes as a main course. Are you still with me? I could go on for ages about steak tartare and similar dishes you know. One last thing. 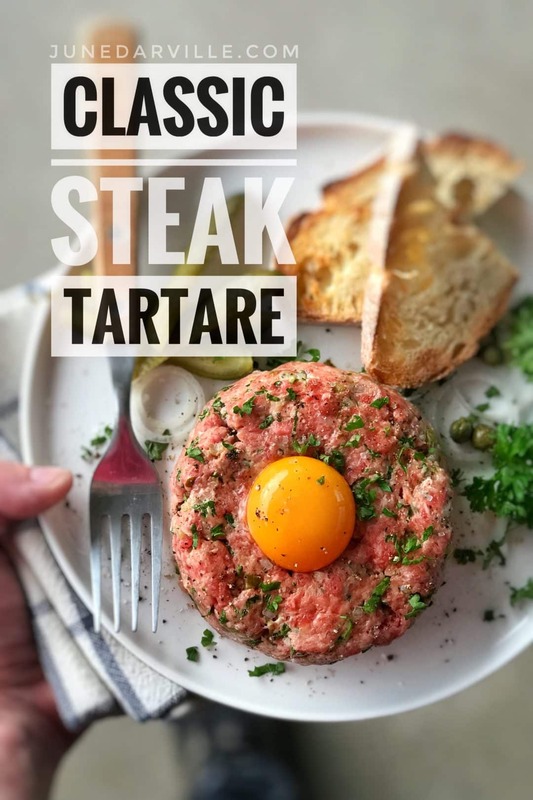 While I was doing some research for this recipe I came across a wonderful article in the New York Times about the history of steak tartare and it’s French origin that was called beefsteack à l’Américaine. Do take a look at it! It’s a great read. What a good idea! It’s so succulent! We were lucky to taste it with a salad and nigella seeds. Hi can you tell me which knife to eat this with? A steak knife or a normal knife?